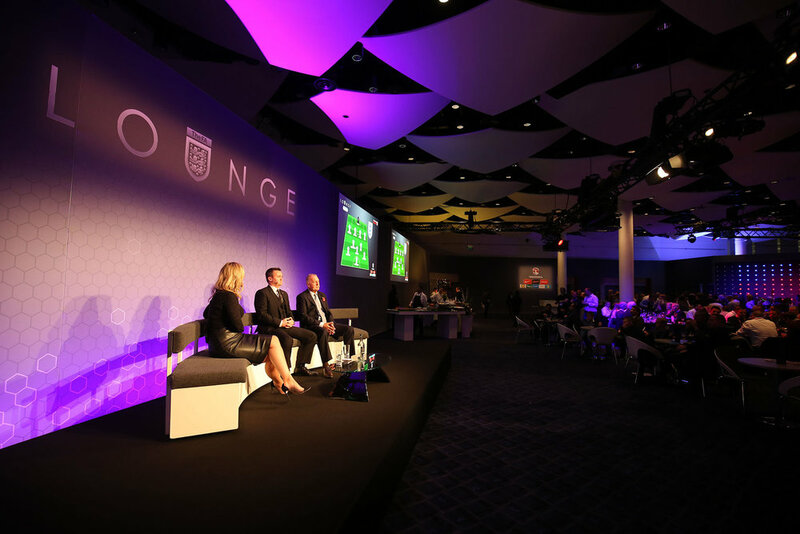 Our relationship dates back to 2002, so we knew precisely how to address a new challenge set for us – the FA’s Great Hall at the home of football, Wembley Stadium, was feeling a little weary. Could we help reinvent it as a hospitality destination? We were determined not to do the obvious: tidy up the space and modernise around the edges. Our approach was a radical reinvention of the established hospitality pattern, creating a much more dynamic and informal setting. Guests would be offered a high-end FA experience, formality was replaced with freedom, seated dining with cool cuisine, speeches reinvented into fireside chats and guest appearances into live entertainment. Every aspect of the previous format had been replaced by something progressive and engaging. Importantly, VIP status was retained for sponsors and special guests, with designated space, 1-2-1 hosting and access to exclusive content. More energised. More contemporary. More fun. A new world order in hospitality. Our work at the Great Hall reset the tone and nature of high-end hospitality – not just for our client, but across the sporting world. Guests return time and again, sponsors re-book. Fans have become fanatics.